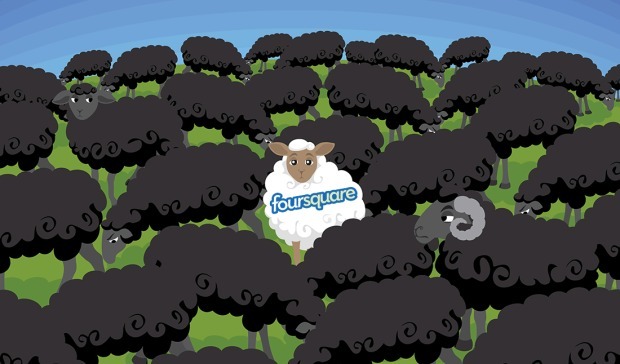 I’ve dabbled with a number of the most popular social networks, but I’ve never seen anything quite like Foursquare. It masquerades as your common location check-in app, something which critics love to point out is built in to both Facebook and Google+. While that’s true, Google+ and Facebook miss out on Foursquare’s gamification component which has injected something very interesting (or perhaps very boring) into Foursquare’s social network. Your typical social profile is carefully crafted. Twitter and Reddit are the best platforms for displaying our wit. And Facebook and Google+ are the best platforms for sharing photos of our vacations and nights out. Don’t forget Quora and Stackoverflow which are the best places to show just how much we know. Everything we post to these networks is curated and self-selected to create our perfect online identity. We compose our social identity from all our personal highlights and when we check-in on Facebook or Google+ it’s because we are somewhere awesome, doing something awesome. As you can tell by screenshot above, Foursquare’s a little different. 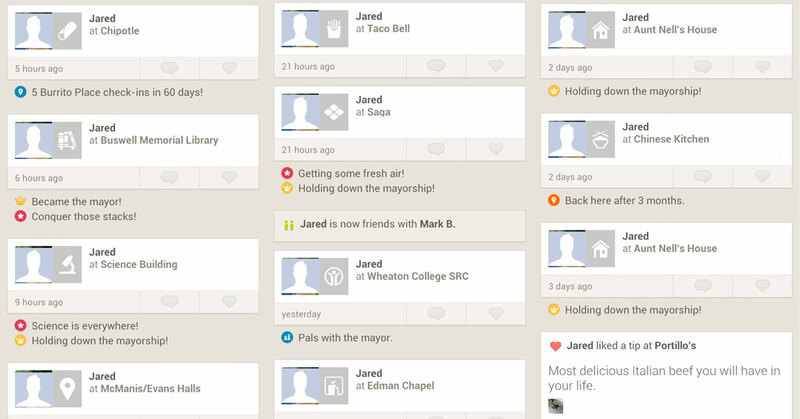 Because of gamification, users log all their check-ins including the most banal and repetitive. For example, any Foursquare user worth their salt checks into their home and work at least once a day – they get points and a mayorship after all. Foursquare’s intention wasn’t to create a network that accurately portrayed people’s lives – it was a byproduct of their desire to amass data and create a compelling service. Foursquare became the most honest social network on accident because of gamification.